Donald Trump’s co-author of his 1987 book The Art of the Deal says he believes the president is having a “meltdown” and that it is a “true emergency”. In a recent interview with CNN’s Brian Stelter, author Tony Schwartz said he believed it was important to publicly call attention to Mr Trump’s behaviour, which he described as “out of the norms”. Mr Stelter had previously asked Mr Schwartz whether continuous speculation over Mr Trump was dangerous. “We need to keep front and centre that this is a person who is far outside the norms of ordinary behaviour,” he said. He added that he believed Mr Trump’s trip to Europe further proved the US president was having a “meltdown” as a result of pressure and feeling “under siege”. Mr Trump notably criticised PM Theresa May in an interview with The Sun, published the same day he arrived in London, over UK’s Brexit deal. Mr Trump later denied the criticism during a press conference with Ms May, labelling the story published in the conservative Rupert Murdoch-owned paper as “fake news”. 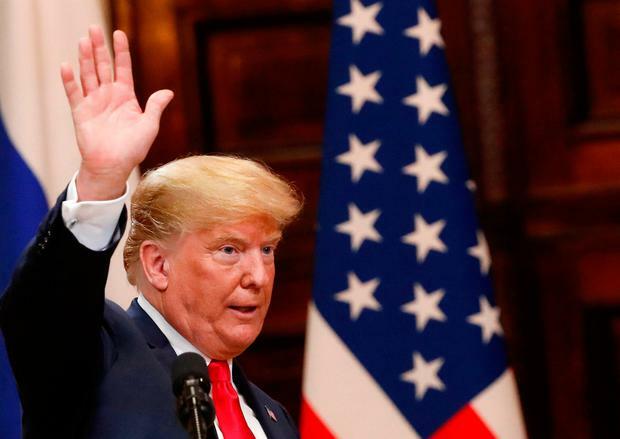 Further, Mr Trump’s Europe trip has also been marked by his arrival at the NATO summit in which he accused Germany of being “a captive of Russia,” amid reports detailing his strong criticisms towards allies for not spending enough on defence during the summit. When asked why he felt confident to label Mr Trump as having a “meltdown,” Mr Schwartz cited his “enormous” amount of time with the president – over a period of 18 months – and being a “25-year student of psychology” as justifications, to name a few. Mr Schwartz said his tweets and on-air interviews are his attempts to warn the general public; he added that he’s trying to be “Paul Revere" - the 18th Century metalworker celebrated for warning American militias about the arrival of British troops. Mr Schwartz has been critical of Mr Trump throughout his presidency. During his interview with Mr Stelter, he acknowledged he previously predicted Mr Trump would resign from office by 2017. In response to a question on whether journalists should be more courageous in reporting on Mr Trump’s “fitness”, Mr Schwartz responded that journalists are in a “challenging role” since Mr Trump has, “blurred the line for all of us between behaving in the ways that we ordinarily would and doing what we think is necessary in the face of an extraordinary danger”. 'Baby Trump will give that punch' - blimp portraying U.S. President as giant baby could soon appear in U.S.